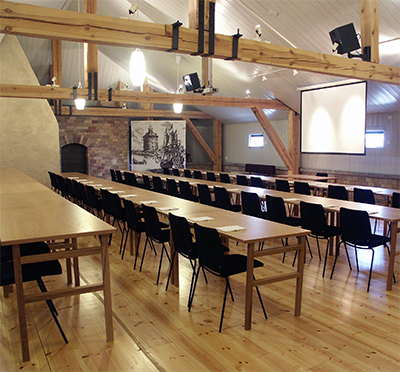 Vaxholms Kastell is a modern conference venue of high standards. We boast several newly built conference rooms, stunning party facilities, new luscious bar, Minbaren, and entertaining such as Fort Kastell, Grand Kastell and Grand Team Competition. This year's new activity is Uppdrag Kastell where tasks are sent to your cell phone and you and your team move around the island to perform these. At Kastellet, there is also accommodation possibilities at Kastellets Bed & Breakfast, providing a grand total of 71 beds. Bogården and Exercishuset is the ideal venue for events with 200 - 1500 participants. Browse through our pictures and you find photos from larger events we have hosted. Furthermore, we run Badholmen only a stone's throw from Kastellet. Badholmen is open May through September and comprises two spectacular party facilities in Kolmagasinet and Redarvillan. Have you been to Vaxholms Kastell and want to give your own comments?